Ia adalah ayah dari William De Morgan. 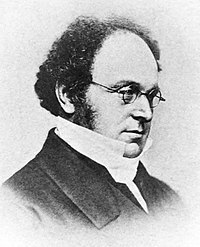 Augustus De Morgan (27 Juni 1806 – 18 Maret 1871) adalah seorang matematikawan dan logikawan asal Britania. Ia merumuskan hukum De Morgan dan mengenalkan istilah induksi matematika. 1836. An Explanation of the Gnomonic Projection of the Sphere. London: Baldwin. 1837. Elements of Trigonometry, and Trigonometrical Analysis. London: Taylor & Walton. 1837. The Elements of Algebra. London: Taylor & Walton. 1838. An Essay on Probabilities. London: Longman, Orme, Brown, Green & Longmans. 1840. The Elements of Arithmetic. London: Taylor & Walton. 1840. First Notions of Logic, Preparatory to the Study of Geometry. London: Taylor & Walton. 1842. The Differential and Integral Calculus. London: Baldwin. 1845. The Globes, Celestial and Terrestrial. London: Malby & Co.
1847. Formal Logic or The Calculus of Inference. London: Taylor & Walton. 1849. Trigonometry and Double Algebra. London: Taylor, Walton & Malbery. 1860. Syllabus of a Proposed System of Logic. London: Walton & Malbery. 1872. A Budget of Paradoxes. London: Longmans, Green. ^ De Morgan, (1838) Induction (mathematics), The Penny Cyclopedia. ^ Karpinski, Louis (1916). "Review: A Budget of Paradoxes (2nd edn. ), by Augustus De Morgan". Bull. Amer. Math. Soc. 22 (9): 468–471. De Morgan, A., 1966. Logic: On the Syllogism and Other Logical Writings. Heath, P., ed. Routledge. A useful collection of De Morgan's most important writings on logic. De Morgan, Sophia Elizabeth (1882). Memoir of Augustus De Morgan. London: Longmans, Green and Company. Grattan-Guinness, Ivor (2000). The Search for Mathematical Roots 1870-1940. Princeton University Press. Macfarlane, Alexander (1916). Lectures on Ten British Mathematicians of the Nineteenth Century (PDF). New York: John Wiley and Sons. Merrill, Daniel D. (1990). Augustus De Morgan and the Logic of Relations. Dordrecht: Kluwer Academic Publishers. Wikimedia Commons memiliki media mengenai Augustus De Morgan. John J. O'Connor and Edmund F. Robertson. Augustus De Morgan di MacTutor archive. Halaman ini terakhir diubah pada 29 Juni 2016, pukul 16.26.